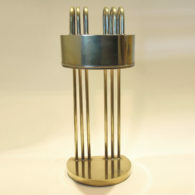 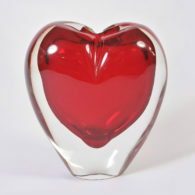 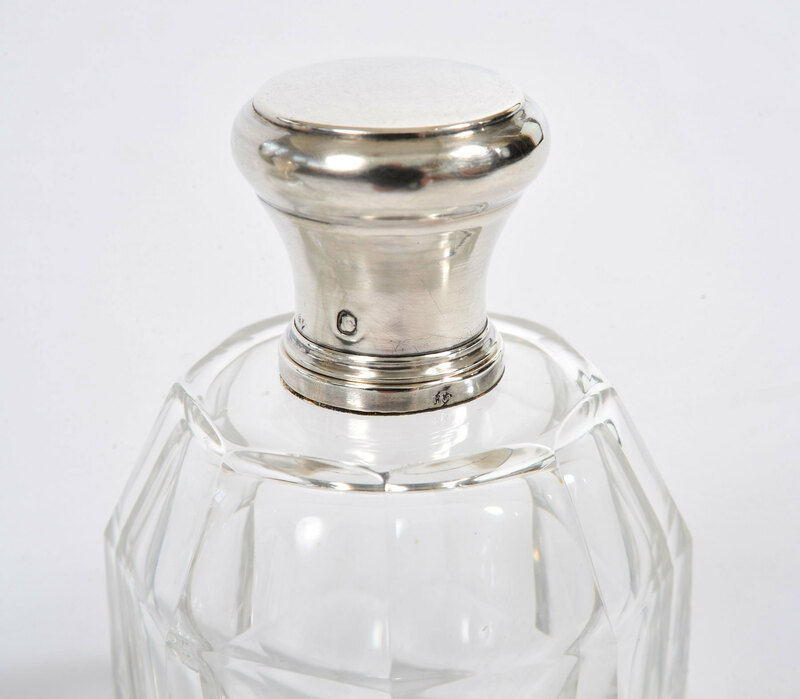 Large bottle: 13cm high 9cm diam. 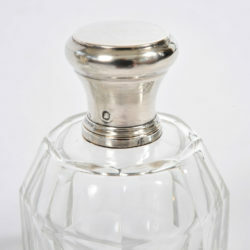 Smaller bottle: 11 cm high 7.5cm diam. 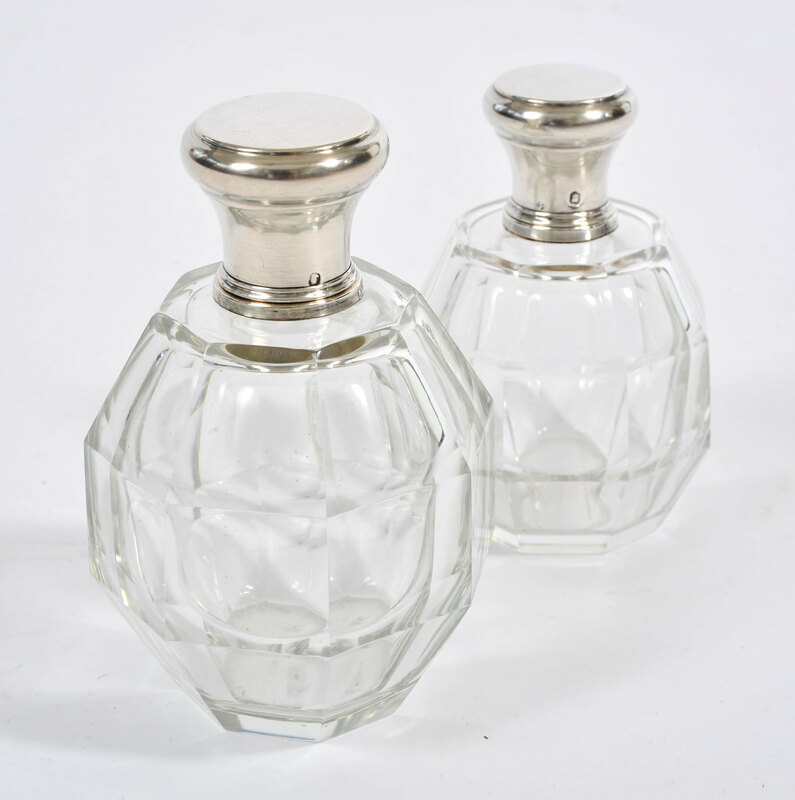 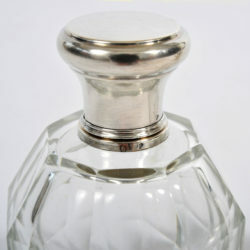 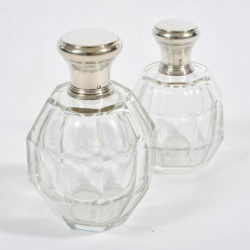 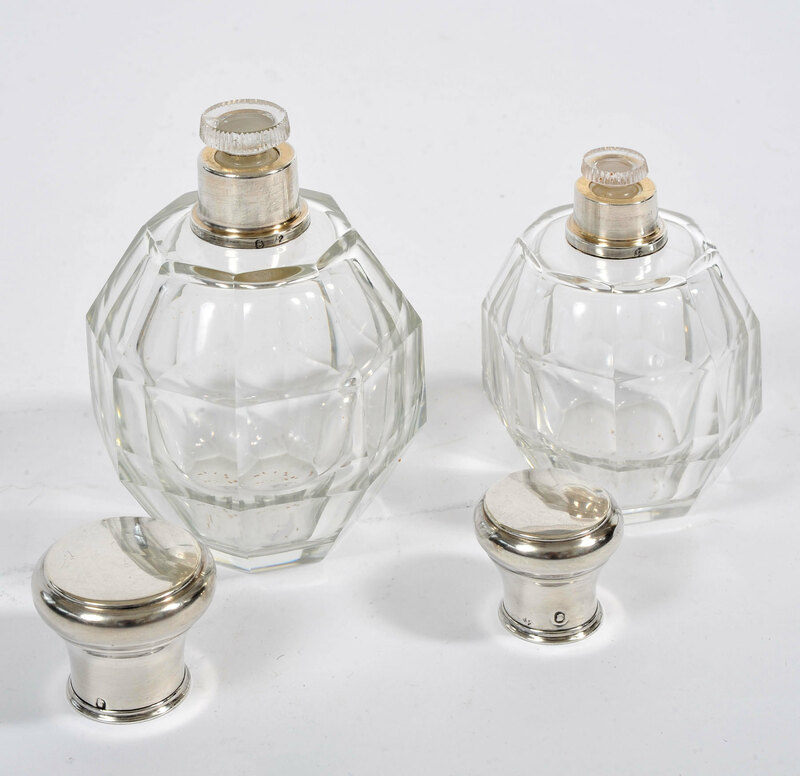 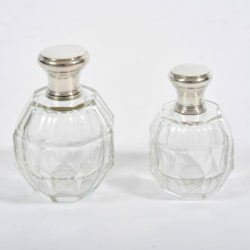 Two French glass perfume bottles with elegant faceted sides, silver tops and delicate cut-glass stoppers. Bottles are matching in large and small size, but can be sold separately.